They already read my blog, so probably not. I’ve been offline all day. Who wants to return their tickets? Why? I have no idea what’s going on! I haven’t read anything about fans/ticketholders demanding refunds. Is it just a baseless rumor like Richard Armitage and Lee Pace? Seriously, can we talk about people who want to give up a chance to see the most acclaimed play on the London stage in years because of anything short of an Ebola breakout.? I was contacted before I wrote my first piece by someone who wanted to dump their tickets. Well, it’s a sold out show, so I imagine the Old Vic, would give refunds. Even if someone stopped being a “fan” I can’t imagine why she would give up an opportunity to see this play – but that’s just me. I agree with you. I think it’s nuts. 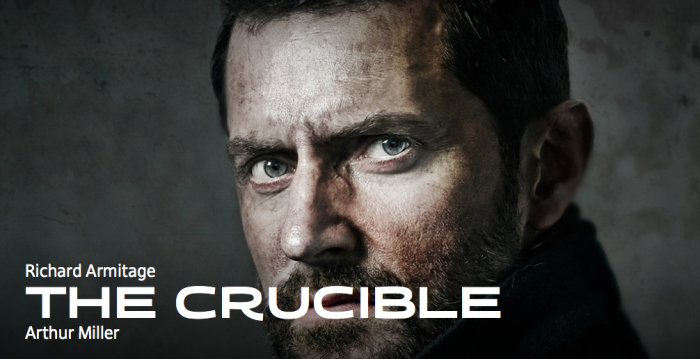 Wrote my own humble review of The Crucible @ http://www.anewcreation33.wordpress.com I don’t think there will be too many people expecting a refund any time soon.